www.yachtharbour.com has all the latest updates in yachting. Here are 10 hottest news of the last month. 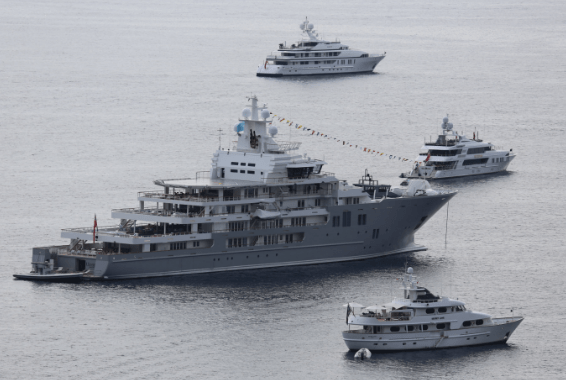 The New York Times has named the owner of 134-meter Serene to be Mohammed bin Salman, Saudi Arabia’s deputy crown prince. Serene was previously owned by Russian billionaire, Yuri Shefler who sold the megayacht to the crown prince in the summer of 2014. According to an associate of Mr. Shefler and a Saudi close to the royal family, Prince bin Salman had first spotted the 440-foot yacht whilst vacationing in the south of France. Interested in the megayacht, he dispatched an aide to buy the ship and the deal was supposedly done within hours at a price of near €500 million with Mr Shefler moving out of the yacht on the same day according to the New York Times. 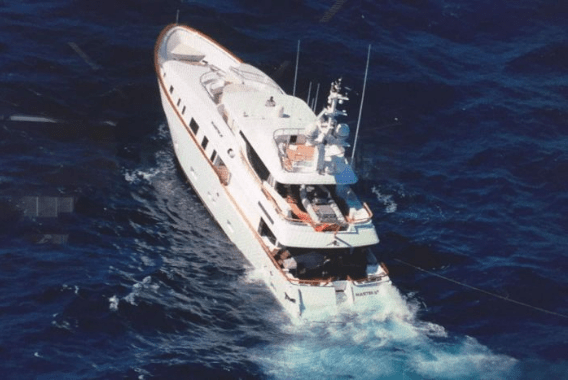 The Australian Maritime Safety Authority (AMSA) received an emergency call from 37m yacht, Masteka 2 at 5am on October 1st. According to the Maritime Herald, the vessel started getting water ingress and lost steering gear near New South Wales, Australia. Six people were on board at the time of the incident. The cruise ship Carnival Spirit, which was en route to New Caledonia, responded after the alert came in. The passenger vessel evacuated two crew members from Masteka 2 using their fast rescue boat. Engineers from the cruise ship assisted the rest of the crew in the salvage operation and stopped the water intake. The yacht was stabilized and under control, waiting for local authorities to dispatch a tug to tow it to the nearest harbor. The Daily Mail has shared the pictures of 142m S/Y A on her sea trials. 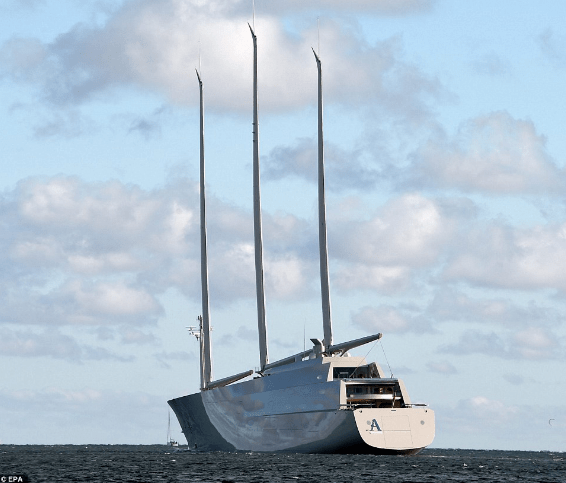 The vessel, owned by Russian billionaire Andrey Melnichenko, was built at Nobiskrug in Kiel. At the end of August Mr Melnichenko came to the German shipyard and the two A has finally met. With masts taller than Big Ben, she is worth an estimated $450million. During the sea trials, S/Y A has built up a speed of 20 knots despite of the fact that her three sails have not yet been revealed. On 27th October 2016 Lurssen launched 123m Project Jupiter at its facility in Bremen, Germany. She features a very sporty and aggressive look similar to the owner’s first yacht. With exterior design by H2 Yacht Design and interiors by March & White the yacht is scheduled for delivery in spring 2017. For both design teams this is their first Lürssen yacht, and the collaboration between all parties, including Winterbothams technical services and Y.CO Management team, has worked extremely well. March & White have designed a contemporary interior throughout the vessel defined by timeless styling, nautical details and highly innovative bespoke finishes. With a beam of 20m her interior atrium opens up the center of the yacht to pull natural light deep into the yacht. As you might know, The New York Times has recently named the owner of 134-meter Serene to be Saudi Arabia’s deputy crown prince, Mohammed bin Salman. Russian billionaire, Yuri Shefler had commissioned Serene from Italy-based Fincantieri back in 2006 according to Italian media. In 2014, Fincantieri launched its second megayacht, the 140-meter Ocean Victory which was commissioned by another Russian oligarch, Viktor Rashnikov. 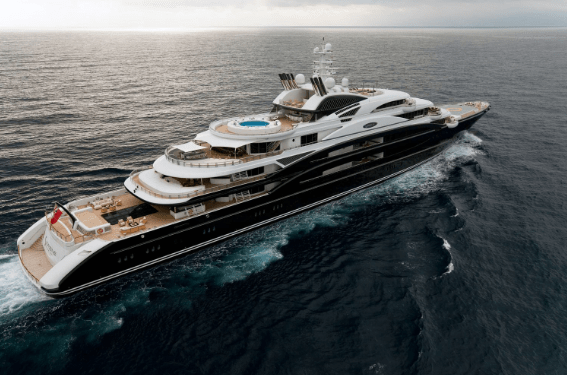 Prior to its launch in December 2014 however, Fincantieri was ordered to pay €20.9 million to Serena Equity Limited (the company controlled by Shefler that owned Serene) by London courts. Shefler’s main claim was that Fincantieri had used Serene, on which the billionaire says he holds intellectual property, to develop Ocean Victory which he says is a near sistership. When reading about megayachts, it is easy to forget the actual scale of these vessels, often comparable with that of military and cruise ships. Here are a few images that show just how enormous these yachts are. 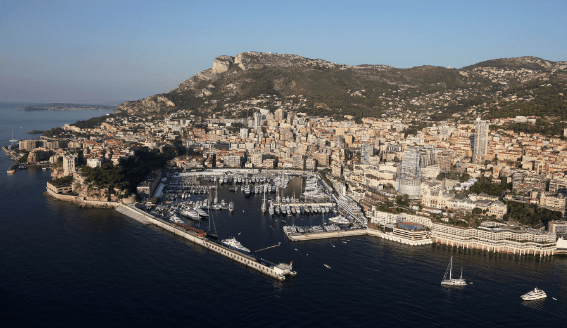 If you’ve ever been to the MIPIM real estate show or the Cannes Lions advertising festival, you’ve probably seen some of the most famous brands such as MailOnline or Yahoo chartering a superyacht to act as their local headquarters. Booked up to 9 months in advance, according to Bespoke Yacht Charter Broker, Alexander Coles, event charters offer a myriad of advantages for such companies during these trade shows. Synonymous with wealth and power, the yacht itself can act as a canvas for a company’s brand, significantly increasing its standing during the show through the use of banners, flags, custom carpets and lots more. The latest edition of the Monaco Yacht Show came to a close 6 days ago after 4 action-packed days for the Principality, writing the 26th chapter of a story full of ups and downs. The Monaco Yacht Show was initially created by Maurice Cohen, head of Media Plus and creator of several other shows. 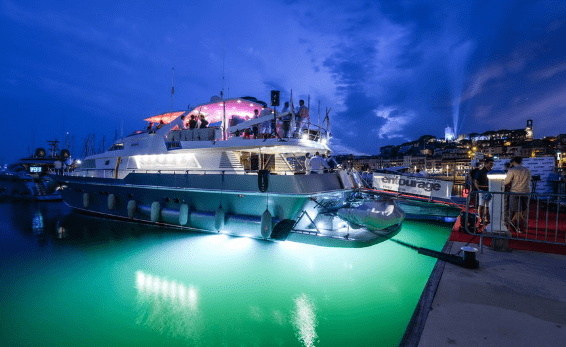 The French entrepreneur however later sold the rights to the show in 1994 to IIR, a show management company that, at the time, owned a competing event, the Superyacht de Nice which has since slipped into oblivion. By 2002, the show boasted 65 yachts, half of the number of yachts in Port Hercules this year, with the 62-meter Lady Lola as a headliner. 300 onshore exhibitors had already taken up booths by this 12th edition and spanned over an area of 4,500 square meters, attracting near 15,000 visitors. Dutch Yachting has shared the new photos of the latest Oceanco sailing yacht Y712. 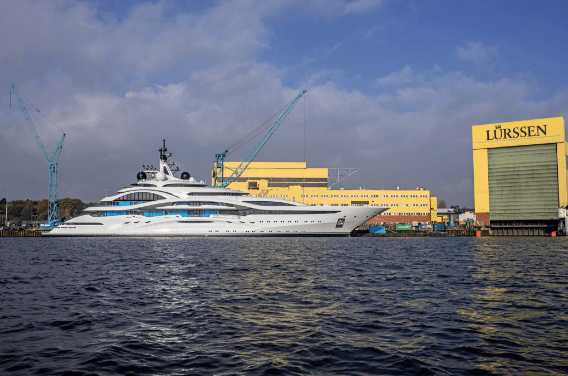 106m superyacht hit the water for the first time at the Keppel Verolme shipyard in Rotterdam on September 19. She is Holland’s largest yacht to date as 110m Project Jubilee is currently under construction at Oceanco. Nuvolari Lenard Design is responsible for both the exterior and interior design and Oceanco & Dykstra Naval Architects for the naval architecture. 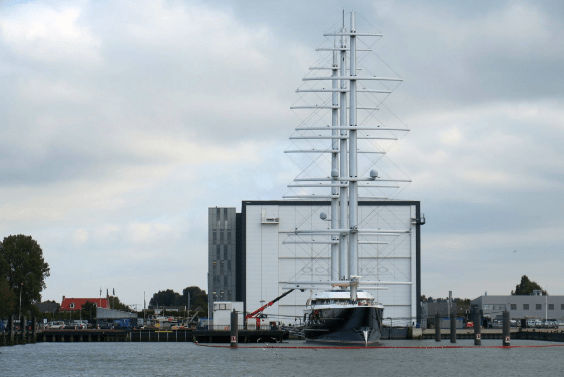 The three DynaRig masts will power the 2,700 GT full-rigged sailing yacht to more than 20 knots. 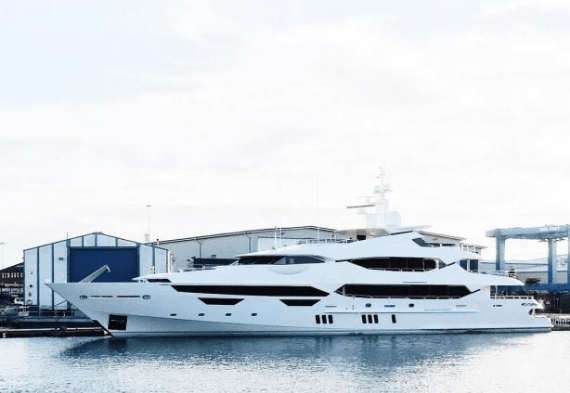 Earlier this week Chinese conglomerate, Lai Sun Group acquired 49.9% of Camper and Nicholsons International for €13 million in what became the latest deal in a series of yacht-related acquisitions led by Chinese beneficiaries. The deal turned out to be a major financial success for Camper and Nicholsons’ majority stakeholder, Colosseum Services, a Swiss luxury-goods company that had acquired the brokerage firm for a mere sum of €1 million following the liquidation of Rodriguez Group in 2014. It didn’t however become the first time a struggling company in yachting was saved by Chinese behemoths.